The Stamford parking garage in happier, intact times. Breaking news reported by the Stamford Advocate: the parking garage attached to the train station has been closed by the state because, as regular car parkers like myself will attest, the Quikrete combovers of rebar bald spots hasn’t been enough to make the garage safe. I’ve parked my car in that station more times than I wished to. I advocated that 700+ space garage to be kept where it is so motorists wouldn’t just drive all the way to work instead of deal with a longer train-based commute. I’m not sure how I feel about the loss, but since I am not in Stamford at this moment (more on why in another post) I can’t go to the station to say a proper goodbye. But what I can do - in addition to admonishing the city of Stamford and the state of Connecticut for doing an appalling job encouraging bicycle commuters over the years - is present a short list of action items we can all do in the wake of the station suddenly vanishing. This is pretty obvious. After the kind of winter that would freeze a Tauntaun in its tracks, it’s finally starting to get a little nicer outside so your list of reasons to not bike is shorter automatically. 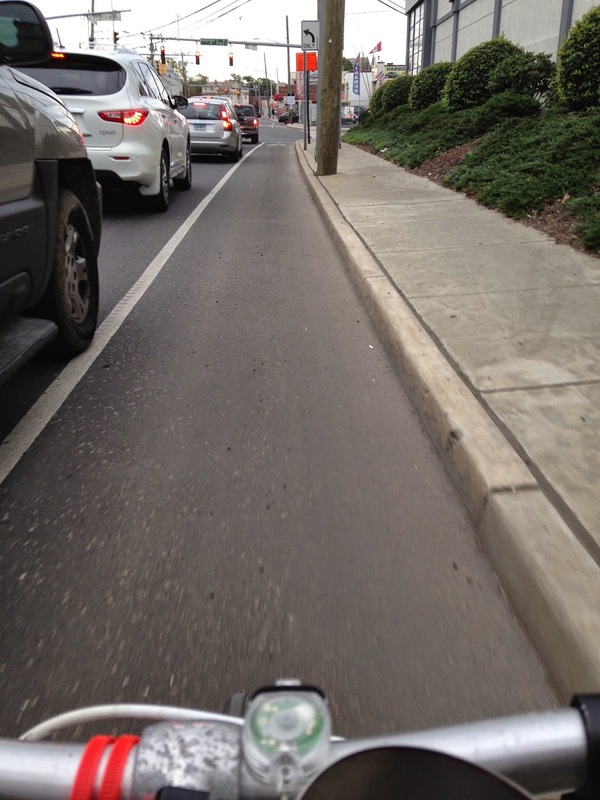 Also: biking is healthier than driving, not much slower, a whole lot cheaper and much more fun than driving a car. 2. Advocate for better bike parking and bike lockers in and around the station. Parking a bike is easier and cheaper than parking a car, but at the Stamford Transportation Center (and most of any city, for that matter) it isn’t without its drawbacks. Yes, you can park a bike for free but not without bashing your two-wheeled friend against a metal railing, rack or another bike. When someone decides to #choosethebike and ride to the Stamford Transportation Center, they leave an automobile parking space for someone who really needs it. But bicycle commuters are going to need more spaces immediately and, as I’ve written about several times on this site, the bike parking at the Stamford station is just terrible - and is much better in other parts of the world. No matter how outlandish some seem, bike lockers and bike shelters can be put in place quickly at a fraction of the cost of a car parking space. Now is the time to do it. 3. 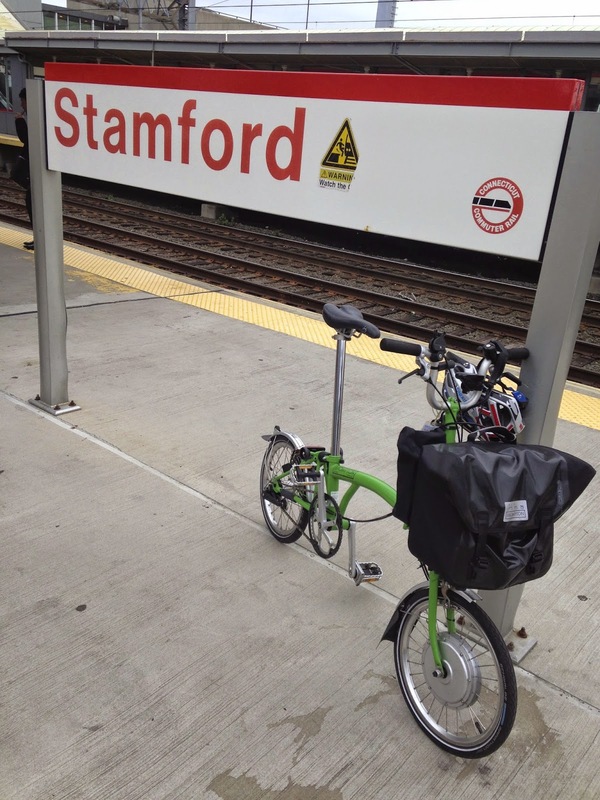 Advocate for sharrows and bike lanes around the station and throughout downtown Stamford. A lot of people don’t like to bike in cities because they feel unsafe. I know this because I see passionate cyclists wave at me all the time from behind the wheel of their hybrid cars with nobody in the passenger seats. Every time I tell someone I am going to go biking in a new city the first thing I am usually told is to be incredibly careful - followed by a hug and the tender words of ‘come back safely’ as if I am heading off to war. Make cycling safer. I would pay to have those words tattooed on the mayor’s arm or at least written somewhere prominent in the government center at 888 Washington Boulevard. Make cycling safer and everybody wins. 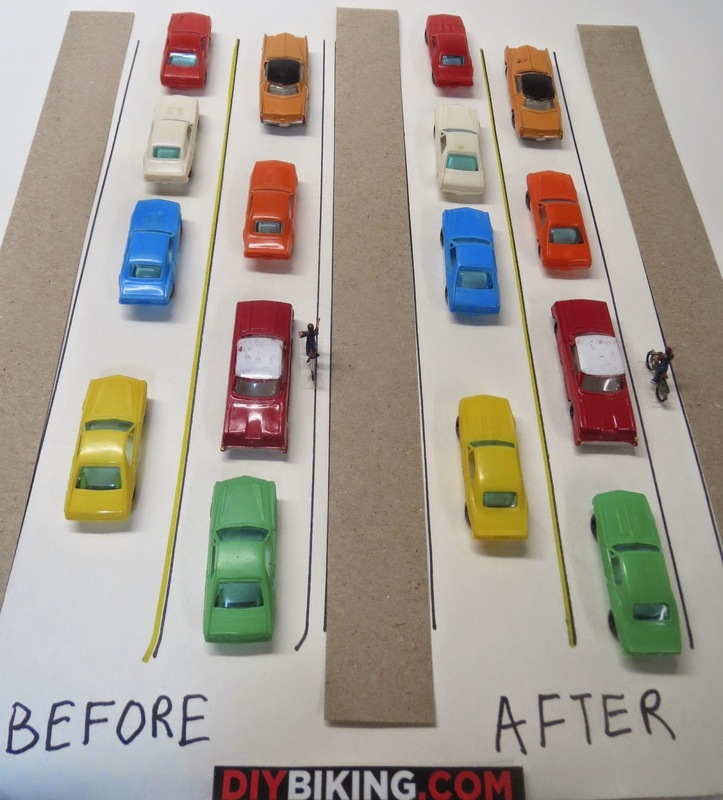 Fewer cars on the road, more people getting to work on time. Win-win. Done and done. 4 . If you’re a legislator, raise the car tax but grant breaks for one-car households. Sometimes politicians who should know better talk about ending the car tax. I don't like paying that tax as much as anyone but ending the car tax is stupid. There’s no sugar-coating it. If there was a way for municipalities to make up for the loss of not having a car tax we would have discovered it by now and anyone who has driven on I-95 in Connecticut during the morning or evening rush will probably answer ‘no’ if you ask them if the state could incentivize more people to own cars - which is what ending the car tax would do. The car tax should be raised, not lowered. Once that’s done, we can restructure the tax to provide breaks for households that have only one car between two adults. If we make the city easier and safer to bike and walk in few will mind. 5. Make it safer to walk and bike to the Stamford station - starting tomorrow. Tomorrow morning in Stamford there are going to be some awfully confused people moving around in and around the station. Some of them, especially people who didn’t realize the garage would be closed, are going to be angry. Angry people are going to drive that way and make mistakes. If you’re a pedestrian, look both ways before you cross the street. If you’re a cyclist, wear a helmet, outfit it with a rearview mirror, and take no chances biking in Stamford going forward. If you’re a police officer, please make the case to be on foot or bike patrol all around the station for the next several days at least. Give written warnings to every illegally parked car on day one but tow them and fine them if there is a day two. This situation just feels like trouble so make sure that you and your neighbor, no matter how he or she gets to work, is safe. 6. When it comes to car parking, remind people to reduce the demand instead of increase the supply. Searching the Stamford Advocate archives I found a long letter to the editor about why the Stamford parking station needed to be bigger - but the very author of that letter said that we ‘do not need to add more traffic’ around the station - which is what adding more parking does. Making the car tax higher, creating ways to encourage walking and biking to work and realizing that we can put public space to better use than temporary storing a car are all things cities needs to do. Stamford: I’m sorry you can’t do it on your own terms now, but maybe this sudden parking garage closure - and the misery that will surely result - will finally move you to action. Everyone please be patient getting to work tomorrow. Thanks for reading and thanks for riding.